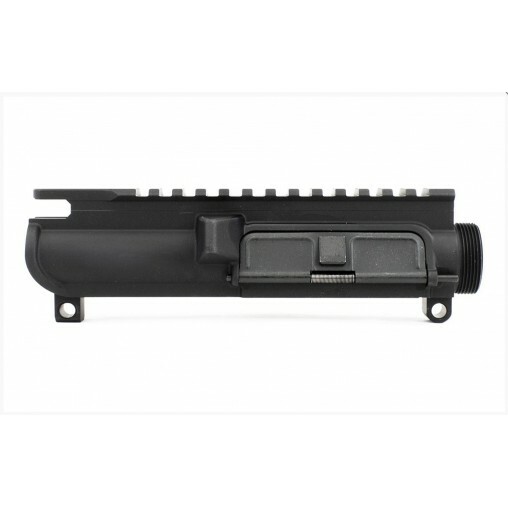 The AR15 Assembled Upper Receiver comes with the port door already installed. This specific model does not have forward assist provisions, but does have shell deflector. Precision machined from forged 7075 T6 aluminum, the assembled upper receiver is precision-machined to M16/M4 specification and features M4 feedramps. This unit comes assembled with the port door. There is no forward assist. Looks good. My Devil Dog Concepts side charging handle fits on it nicely. love this upper, will buy again on my next build. Excellent itquality from the manufacturer, and prompt delivery from Toms. I especially like the free shipping. This is the only upper I now use. Fit and finish are great and Tom's Tactical prices are unbeatable. And don't forget about the Free shipping. Great product. Fit and look is great. Function is outstanding as well. You can't go wrong. Toms provided great service and very fast shipping.